Alex Standiford in Akron, Ohio started Fill Your Taproom to help breweries attract more customers. He does that through website development, social media management, branding, and email marketing. Email isn’t dead and it’s not just for online digital businesses; email is important for “brick-and-mortar” real world business, too. In fact, email is an ever more important part of your overall marketing plan. Ninety percent of email gets delivered to an inbox whereas just 2 percent of your Facebook fans will see your post in their news feed. Build relationships and learn more about your customers. Educate your customers and empower them to make a decision. Fill your taproom by offering special deals or promoting events and beer releases. Focus less on where you get people to sign up to your email list, and more on what you do to get people to sign up. Offer them a reason to give you their email address, which many people keep very private. “People don’t give away their email address for no reason anymore,” says Alex. Alex advises you start growing your email list 8-12 months before opening your brewery. You can use the Facebook call-to-action button or a simple website that says “coming soon.” Then offer something that’s worth the exchange of their email. Getting Things Done: The Art of Stress-Free Productivity by David Allen. Easy Beer Lister WP plugin. Easy Age Verifier WP plugin. Brew IO free WP theme for breweries. 5 reasons every brewery needs and email list by Alex Standiford, MicroBrewr, August 1, 2016. 51 things your brewery can do with email by Alex Standiford, MicroBrewr, August 17, 2016. How to build a healthy email list for your craft brewery by Alex Standiford, MicroBrewr, September 2, 2016. MailChimp free email service provider. Nosferatu® Imperial Red Ale by Great Lakes Brewing Co., Cleveland, Ohio. Kyle Roth is just about to finish the brewing apprenticeship through Platform Beer Co.’s incubator program. Soon he, his brother and cousins, partners in Ferndock Brewing Company in Sandusky, Ohio, will venture out on their own. We heard from Paul Benner, who told us about Platform Beer Co.’s incubator program, in MicroBrewr Podcast episode 026. Kyle is the first person to go through the brewing apprenticeship program and he’s so glad that he did. The apprenticeship gave Kyle a jumpstart in everything he needs to know to open a brewery. From Jimmy Batte: How do you get your percent cost mark up? Is there a typical 30% you apply to everything? What is the general guideline? 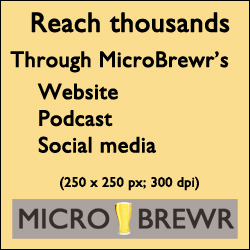 MicroBrewr 026: A microbrewery, a taproom, and a brewery incubator, September 9, 2014. Platform Beer Co. incubator program. Jack McAuliffe, Father of American Craft Brew, Brings Back New Albion Ale, by Devin Leonard, Business Week, March 29, 2013. Beers You Should Know And Drink: Gose, by Sean M. Buchan, Serious Eats, May 7, 2013. How Much Does Your Beer Really Cost? 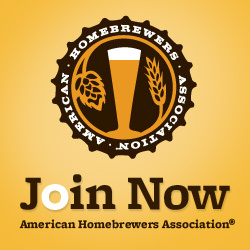 Establishing an Effective Beer Costing Program in the Brewpub, by Scott Metzger, Brewers Association, October 30, 2012.